If you don’t have a website or online traffic, there’s really no need to invest in marketing automation. After all, the whole point of marketing automation is to better engage with people who visit your website, and nurture them with emails that drive them back to your website where they will eventually convert into a customer. 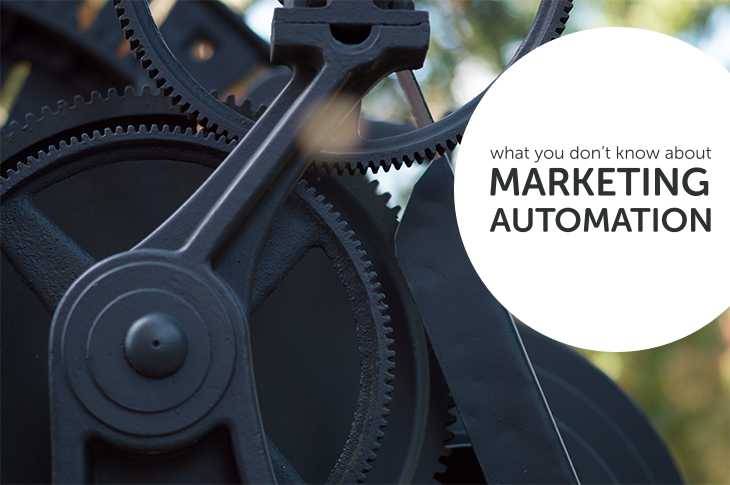 Marketing automation software is like an engine…it can’t run without the right type of fuel. For marketing automation, inbound marketing is the fuel. Before you can capture a new subscriber, and nurture a lead with email marketing, you need to drive them to your website. In the past, top-down advertising methods like radio, TV, print, direct mail and cold calling pushed messages from brands to consumers. But the game has changed, and these traditional marketing methods are easily tuned-out. Today, with so much information online, consumers are doing most of their research before connecting with a salesperson. If you can reach your audience while they’re still in the investigation mode, you have a much better chance of earning their business when they’re ready to buy. Inbound marketing helps you do this through channels like SEO and social media. So, instead of going out and finding new leads, inbound marketing helps new, quality leads find you, driving them to your website where marketing automation takes over. One of the primary ways marketing automation helps you convert your leads into customers is by sending them timely emails. And while all of your emails can be sent from your marketing automation tool, it’s a third party – the Email Service Provider – that determines if your email will get delivered to the inbox. Will sending an email to this cold list hurt my sender reputation? How can I make sure to keep bounce rates in check? Do I have a way for new subscribers to “opt-in” to my email list? Can I tweak my subject line to boost open rates? Do I have a good word to image ratio in the body of my email? Learning how to keep your emails in the inbox and out of the spam folder can make a big difference in the performance of your email campaigns. Ultimately, following email marketing best practices can increase the number of leads you can convert into customers. By automating workflow, tasks and follow-up, marketing automation is a great tool for fixing any holes in your sales and marketing process. That being said, you need to have a solid sales and marketing process in place before you can automate it. Where do your marketing leads come from? What’s the difference between a hot prospect and a cold lead? When should marketing pass a hot prospect to the sales arm of your business? What are the most important conversion points to track in your sales process? All of these factors – and more – help you determine when and how to automate your sales and marketing process. Thinking about your process in advance will be a huge help when it comes to comparing marketing automation products and figuring out which features you do (and don’t) need. Website design, inbound marketing, email marketing, sales and marketing process – there’s a lot of strategy that goes into using marketing automation effectively for your business. Because of this, you might need help that goes beyond learning how to use the software. For instance, you may need help with the software, like learning how to import a list of contacts from another system. But you may also need help on the strategy side, like understanding how to create effective content for an email campaign. When comparing marketing automation tools, make sure that you’ll receive the level of training and support you need to be successful. Then, take advantage of all of the training tools your marketing automation system provides. Attend one-on-one training, sign up for webinars, and digest any online onboarding materials in the beginning to ensure that you get the most out of your investment in marketing automation. Remember that customer service and support are just as important features of your software as website tracking, forms, and email tools. If you can’t get the help you need, your investment in marketing automation won’t pay off like it should.